Our vineyards are high and often steep, windblown and laborious to work, but this hostile environment compensates with the quality of the grapes that it grows. From 2001-2007, vinification was carried out in our cellars in Saint Martin de Fenouillet. Previously, this building was insured by Abeille Assurances and a plaque on the door bore their logo (click to see a photograph of the plaque). 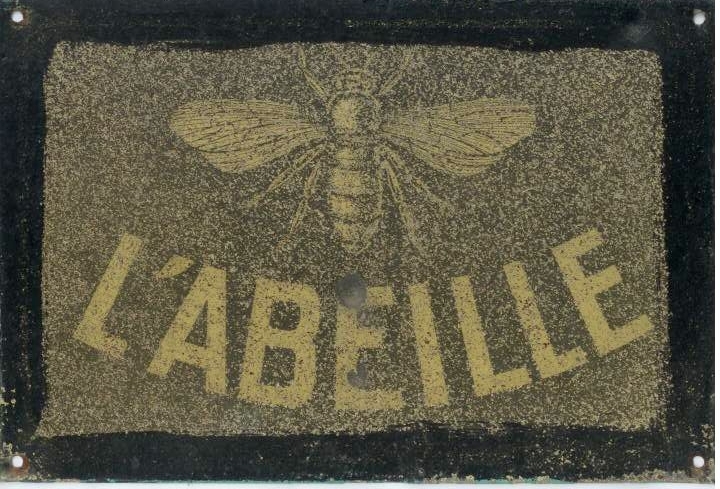 As such, the villagers called the building l’Abeille, or the bee, and we have kept this as the emblem of Soula. In 2008, we bought an old cave co-operative in Prugnanes and this move out of our cellars in Saint Martin de Fenouillet has given us more space to work. The co-operative was constructed in the 1950s in a style that is typical of the period – a concrete structure with four groups of concrete vats. It functioned as the local cave co-operative until the 1970s. Our philosophy in the winery is to keep our approach simple. For example, the cuverie is organised to allow the filling of the tanks without the use of pumps. The grapes are sorted into containers that are lifted above the tanks and tipped in. This is important for quality because the fruit is kept intact and it reduces cleaning time and water consumption. For the whites we have two pneumatic presses (25hl and 40hl) that are used entirely manually because the programmes do not allow us to obtain the same finesse that we require in the must. For the reds we do not want power and aggression, instead we look for elegance and balance in the wine. To achieve this we avoid over-extraction. 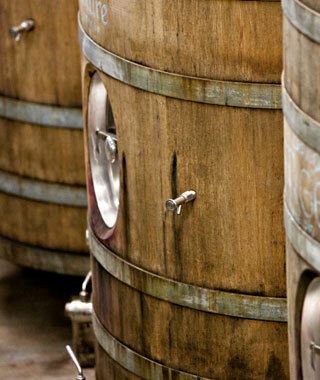 Elevage takes place in tanks and 500 litre French and Austrian oak demi-muids. Every vintage is different, so while our philosophy remains the same, the work in the winery is flexible and is adapted to suit each year. We are looking for wine that is both pleasurable to drink and reflects its origin – a wine we can be proud of. Laissez votre avis sur notre page Facebook.